Did you know Crissy Field was once a concrete parking lot? Hard to believe, but about 20 years ago, the beloved San Francisco park was in disrepair. Through the hard work of the Golden Gate National Parks Conservancy and the National Park Service, the park was transformed into an urban oasis. See that transformation unfold in front of your eyes with our sliders below! Just click in the middle of the image and drag from one side to the other to see then vs. now. As you can tell, the change was staggering. More than 3,000 volunteers helped completely overhaul the area. The most visible changes included the greening of the former concrete airfield, the cleanup of East Beach, and the restoration of Crissy Marsh. The transformation of Crissy Field was truly a community effort. Through the public "Help Grow Crissy Field" campaign, the Parks Conservancy raised $34.4 million; of 2,300 donations, 2,200 were $100 or less. The campaign was led by the vision and leadership gifts of the Evelyn and Walter Haas, Jr. Fund. After "then" and "now," we collectively look to what’s "next" for Crissy Field. The Golden Gate National Parks Conservancy, the National Park Service, and the Presidio Trust are currently seeking input and feedback for possible future enhancements to the area via Crissy Field Next. 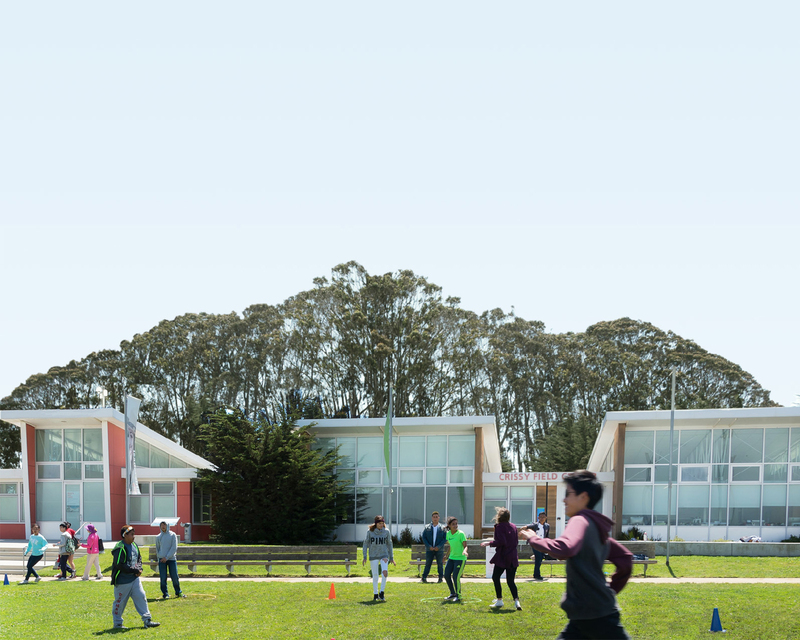 Learn more about this exciting opportunity by reading our story on Crissy Field Next or by visiting the project site. Crissy Field has seen many different iterations through the decades. It’s been two decades since its most dramatic transformation, and more is in store. But it’s still one of the most beautiful places in all of San Francisco, and will be for decades to come. "After" photos from Crissy Field by Paul Myers / Parks Conservancy.